"He kept the dance floor hopping and took many requests". No matter what mood you need to set for your event, music makes the difference. From sedately elegant to toe-tapping country to classic rock ‘n roll, we can do it all! 1. Style or Genre: Country, classical, contemporary, or a variety, the choices are endless. Is there a theme to your event? Do your guests have particular tastes? What kind of music would be most appropriate? 2. Purpose: Do you need background ambiance to set the right mood? Up-beat music for your guests to dance to? 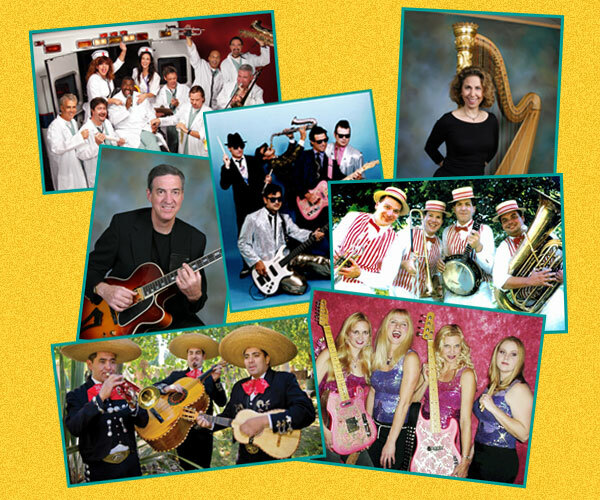 Or are you looking for a “concert” style show for your guests to enjoy? 3. Type: Do you want a musician or band to play live music? Perhaps a DJ to play a variety of songs? Or even karaoke, where your guests get to be the stars of the show?